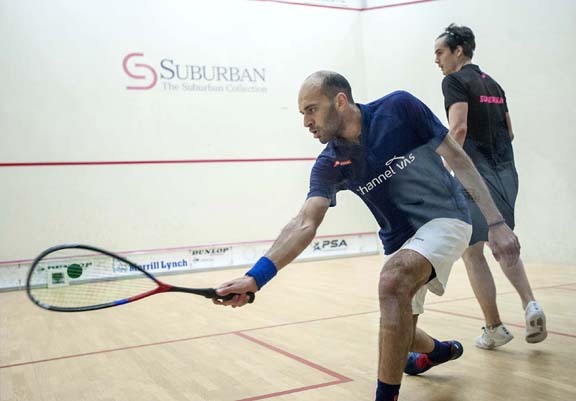 Birmingham, Michigan—It was only logical that, in a drama-filled week at The Motor City Open presented by the Suburban Collection, the championship match would be a 96-minute, five-game epic that ended on a controversial call. 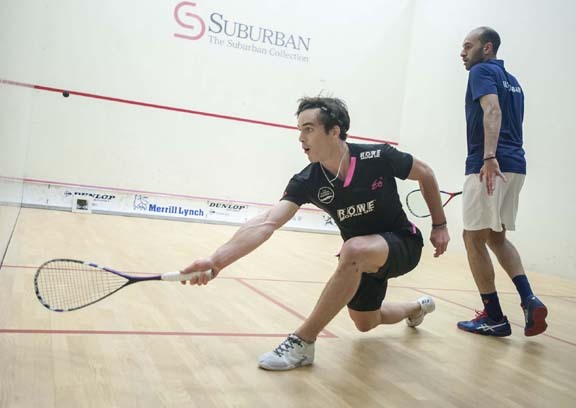 At the finish line it was top-seed Marwan ElShorbagy of Egypt winning the MCO for the first time by getting the better of second-seeded Paul Coll of New Zealand: 11-9, 9-11, 11-8, 8-11, 11-9. 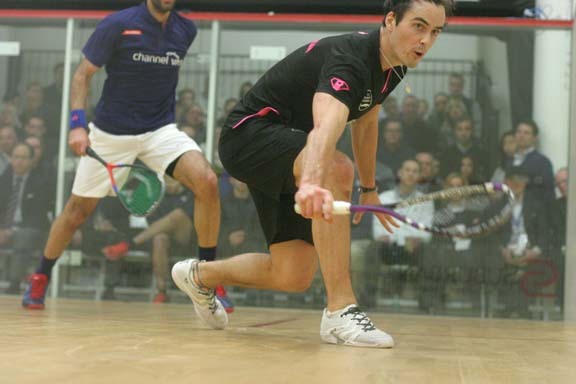 On his first championship ball at 10-9, ElShorbagy was awarded a stroke to win when the official decided that Coll ran through his opponent’s backswing after the Kiwi had picked himself up from a successful, diving save. Initially, confusion reigned. 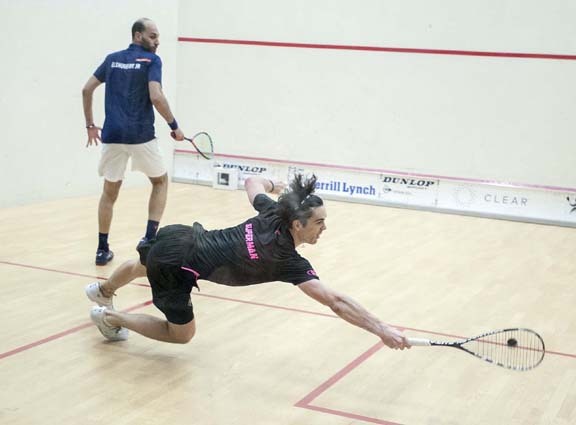 ElShorbagy threw his racquet in disgust and Coll backpedaled in disbelief as both thought the call had gone against them. Then the Egyptian celebrated as clarification came that a stroke had been called. Though the crowd was a bit disappointed that the match ended the way it did, it shouldn’t take away from one of the best showdowns in the 19-year history of the MCO. ElShorbagy (World #5) outlasted Coll in a 22-minute first game before the New Zealand man bounced back to even things up in the second. The tension really started to pick up in the third. ElShorbagy fell behind 1-4 after finding the tin a few times, but he was able to deliver masterful winners to take back the advantage. The all-important game ended after Coll found back-to-back tins. The trend continued into the fourth game. 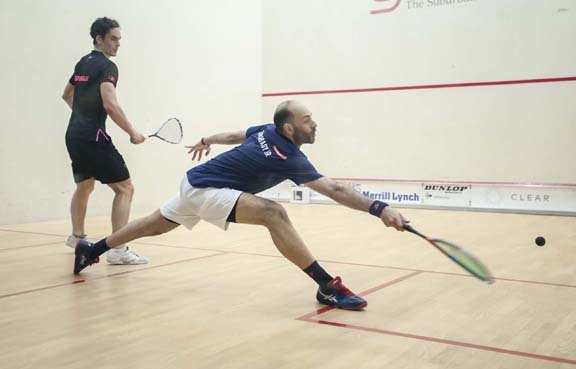 ElShorbagy was either on point or finding tins. Coll’s unstoppable effort delivered a few breathtaking dives that wowed the capacity crowd. 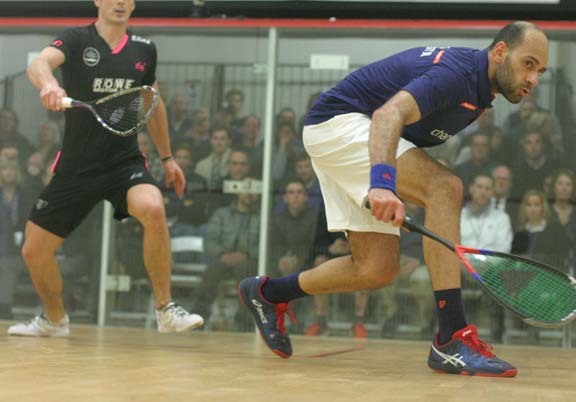 It was a back-and-forth game, but three straight unforced errors by ElShorbagy were his undoing. “Once I got the opportunity to use my speed and push him to the front I seemed to hurt him,” Coll said. In the fifth, ElShorbagy grabbed a quick 3-0 lead on the back of two big winners and a Coll tin. That lead ballooned to 5-1, then to 7-3, before Coll fought back to pull within a point at 7-6. A couple of nice drop shots from Coll tied things at 8-8, but he found tin on the next point. A winner by ElShorbagy pushed the match to the brink, but he found the tin on the next ball, setting up the dramatic final point that left Coll speechless as he walked off the court. 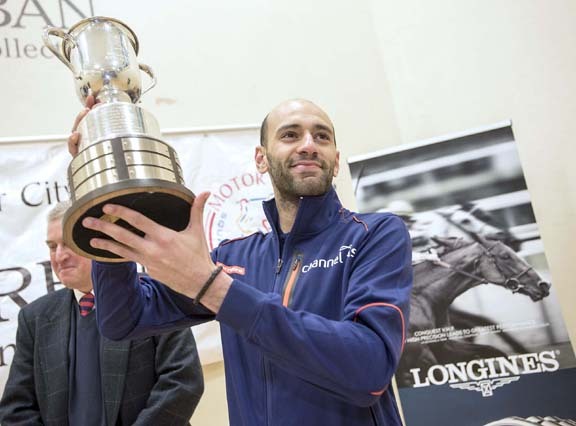 The win is the eighth Professional Squash Association championship for ElShorbagy, who promised the crowd during the trophy presentation that he would be back in 2019. In the meantime, the 2018 champion will enjoy his nearly $12,000 in prize money (out of a total $70,000 tournament pot) and a Longines watch presented by Greenstone’s Fine Jewelers.